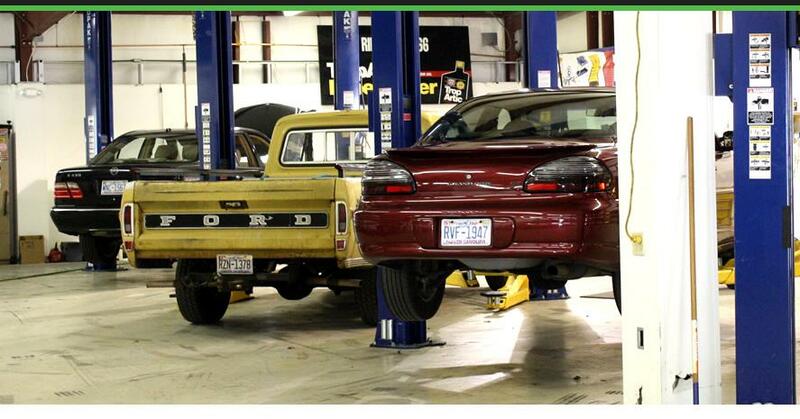 We have been performing our high quality and guaranteed auto repairs in the Raleigh area since 1960. Conveniently located by RDU Airport! AVEC Service Center now offers motorcycle service, inspections, and repair! Schedule your appointment today at 919-787-2552! We are definitely the cost-effective alternative to car dealership servicing for all scheduled maintenance of your personal or company auto, pickup or truck. Regardless of where it was built, we will service your car or truck and still maintain the manufacturer's warranty. AVEC Service Center (formerly Ridgewood Phillips 66) is independently owned and operated. We pride ourselves on getting the services or repairs on your auto right the first time by our highly qualified service technicians. AVEC Service Center (formerly Ridgewood Phillips 66) is a full-service auto repair and preventive maintenance center. We have been performing our high quality and guaranteed auto repairs in the Raleigh area since 1960. We are conveniently located and qualified to repair and service all domestic and imported cars, trucks, and SUVs. We only use parts that are equal to or exceed the standards of those parts originally used by the manufacturers. We are definitely the cost-effective alternative to car dealership servicing for all scheduled maintenance of your personal or company auto, pickup or truck. Regardless of where it was built, we will service your car or truck and still maintain the manufacturer’s warranty. AVEC Service Center (formerly Ridgewood Phillips 66) is independently owned and operated. We pride ourselves on getting the services or repairs on your auto right the first time by our highly qualified service technicians. So drop your auto, SUV, or truck off today and allow us to provide you with excellent service. We look forward to servicing your vehicle.